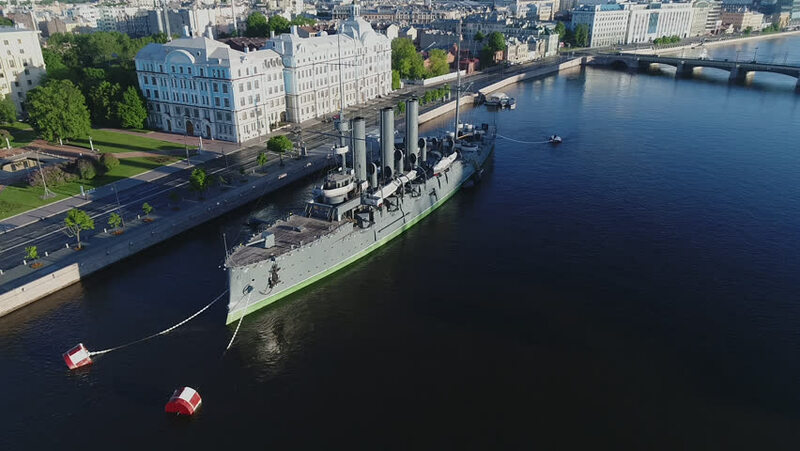 Aerial view on the cruiser Aurora on Neva river, center of Saint-Petersburg. View on Neva river, bridges and center of the city. hd00:26Cruiser Aurora in the center of Saint-Petersburg on Neva river. Calm early morning water in warm sunny days.